Let’s be honest: messy freelancers find themselves overworked and overwhelmed more often than not. Most of them won’t admit it, though. There’s no shame in getting in over your head; however, you should try to spot the source of your stress sooner rather than later. Want to know the most common symptom facing nearly all freelancers who can’t stop tearing their hair out? After all, modern freelancers have so much on their plates. Once your business starts to take off, your poor organizational habits tend to quickly snowball out of control. Fortunately, we’ve outlined seven steps you can take to stop drowning in documents and finally take the reigns of your business once and for all. There’s no quicker way to sour your client relationships than by missing your deadlines and due-dates. Failing to deliver work promptly will eventually hurt your bottom line as your clients lose patience with you. Likewise, you could potentially develop a poor reputation within your industry and lose out on referrals if your tardiness becomes common knowledge. You don’t want to become “that” freelancer, do you? Regardless of which platform you use, strive to never let another deadline pass you by. Sometimes the motto of “more money, more problems” rings incredibly true if you’re a poor planner. Another classic mistake newbie freelancers make is taking on too much work at once. Sounds like a nice problem to have, right? For example, it may be enticing for a freelance writer to take on a new client offering $500 worth of content per week; however, how much will that client impact your current workload? Does it mean more missed deadlines for your previous clients? On the flip side, you should never leave yourself with “free” days where you find yourself sitting around and doing nothing. Along with keeping track of your deadlines, freelancers must also know what they’re doing day-by-day in terms of how much work they can realistically take on. This ensures that you make enough money to keep the lights on but also keep your clients happy. Speaking of happy clients, there’s nothing more frustrating than a poor communicator in the freelance world. Unclear instructions. Missed payments. No follow-ups. Nothing. For clients and freelancers alike, it’s an absolute nightmare. In fact, the woes of most freelancers could easily be remedied by a more simplified, straightforward means of keeping in touch. After all, nobody wants to sift through an endless sea of emails and notifications, do they? Resources such as vCita’s customer relationship management app can help you keep the lines of communication open with your clients and customers, minus the headache. Basically, the app functions as a super light free CRM, that is laser-focused on solopreneurs, and it tailored for “getting stuff done”. 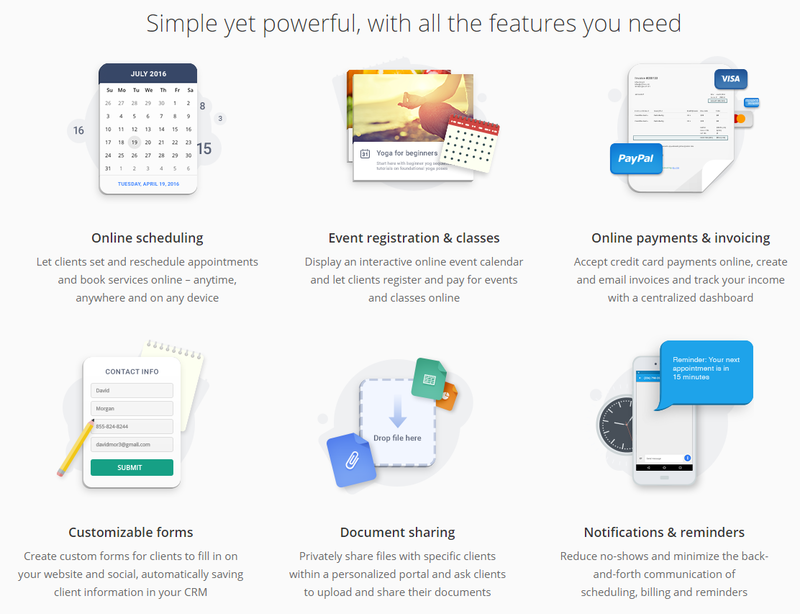 By creating a free account with vCita you can keep your relationships in one central location and also easily track payments, send branded invoices, get reminders when an invoice is overdue, and set follow up reminders to check in with your clients. Don’t let back-and-forth slow you down, but instead take steps to ensure that you’re as productive as possible. The more you’re able to get done, the more clients you can take on. Reality check: you’re not going to fall in love with every project you take on as a freelancer. From nightmare clients to assignments that seem far below your paygrade, tedious tasks can quickly wear on your patience if you don’t know how to deal with them. Simply put, sometimes you need to space out your billable hours to give yourself a break. Instead of working for hours on end, consider trying out some time management techniques to help supercharge your productivity. For example, the Pomodoro Technique is a time management strategy that breaks your work up into 25-minute chunks followed by five-minute breaks. By breaking up your rough assignments, your problem projects seem much less daunting and you’re less likely to find excuses to slack off. It’s unfortunate when a freelance is forced to give up their entrepreneurial dreams because they simply can’t keep their finances in order. A keen understanding of what you’re making and spending is crucial to the long-term survival of your business. To prevent finding yourself in a bind during tax season or burning out in an attempt to make ends meet, take action. For starters, try using a freelance rate calculator to figure out what you want your own salary to be and stick to it when pursuing future clients. Additionally, keep track of your expenses through apps such as Mint to figure out how much cash you need to save to keep your business profitable. Rethinking your income every few months or so not only ensures that you’re getting paid what you’re worth, but also may uncover clients who no longer make financial sense based on your time. This tip’s pretty straightforward but so often overlooked. It’s easy to let the clock get away from you when you’re a freelancer. So, what’s the best way to stay focused and manage your time in an era of constant distractions? Stick to a schedule. You know, like the nine-to-five schedule you swore to leave behind forever. Everyone’s different in terms of how much and how long they want to work every day. Regardless, you should make it crystal clear to your clients and personal relationships alike when you’re working and, well, when you’re not. You shouldn’t be expected to run errands for your family in the middle of the day because you don’t have a “real” job. On the flip side, your clients shouldn’t expect you to answer emails at 3:00 AM. Not all of your day-to-day duties as a freelancer as created equal: some tasks absolutely must be prioritized versus others. Sure, all of these duties are seemingly important to any given freelancer. That being said, you should first prioritize tasks that result in getting paid and meeting the expectations of your clients. Don’t feel the need to play Superman and do everything all at once. Instead, finish your most important tasks first before you move on to something else. If you’re working from home, setting up a dedicated, well-designed workstation can work wonders for your productivity. Even if you have a small budget, you can craft a new look for your office with artwork and furniture you already have. If you’re looking for inspiration, these 25 Home Office Design Tips from FitSmallBusiness are a great place to start. Becoming organized is the first step you need to take in order to reduce anxiety, re-boot your energy, and feel that you “own” your schedule. Shedding your old, disorganized skin can go a long way in making you feel like you start (and end) your day like a boss. However, there’s no reason to stop there. Adopting a few simple work habits and creating new, intuitive workflows can help you transition from burnout to Olympic productivity. Organization is oftentimes the missing piece of the puzzle for freelancers struggling to keep their workload under control. By taking the time to break down your day-to-day duties and communication, your productivity will skyrocket and getting new clients becomes much, much easier. What do you consider to be your organizational kryptonite as a freelancer? Let us know in the comments below!